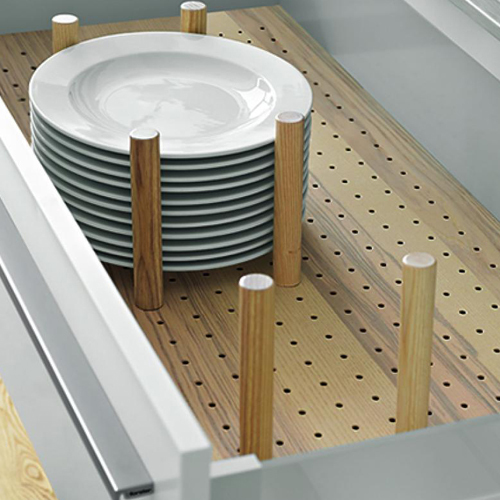 Forster steel kitchens stand for intelligently planned and carefully manufactured elements. 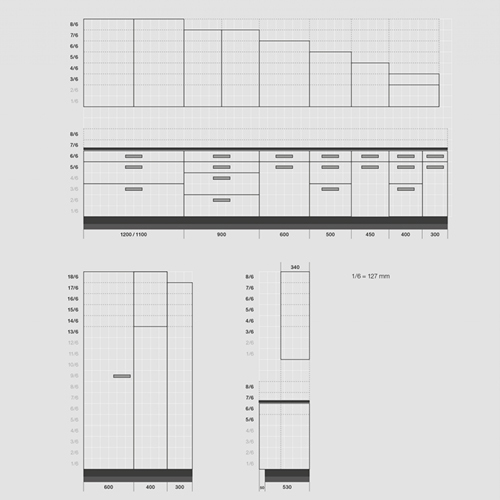 The various widths, heights and combination variants enable outstanding use of space. Forster offers the SMS standard (Swiss Measurement System) as well as the 60s Euro standard. Forster also implements special widths or special furniture for its customers. 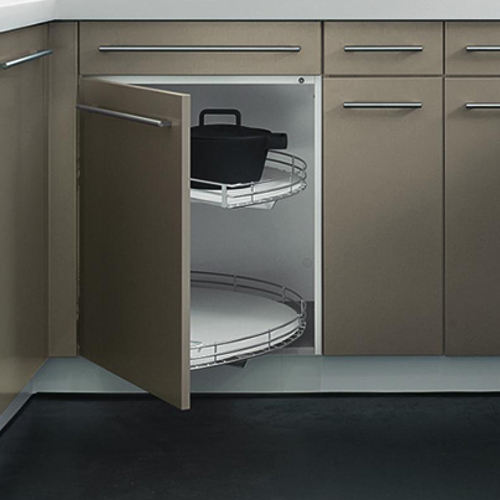 The Forster range includes various base and wall elements, storage and stowage spaces, tall cabinets, pullout and drawer elements as well as elements for kitchen waste. Each customer can therefore plan their kitchen or laundry room according to their individual requirements and thus buy a kitchen that ideally matches their personal routines. One of the highlights of a Forster kitchen is the rear wall with the individually configurable panel system. Made of steel, it can be individually equipped with long and extremely slender shelves, standard shelves or magnetic accessories. This means that the kitchen keeps even more everyday aids aesthetically to hand while becoming a cosy living space at the same time. A kitchen’s appearance is in particular characterised by its colour. Because kitchens are increasingly being fitted in open-plan rooms. 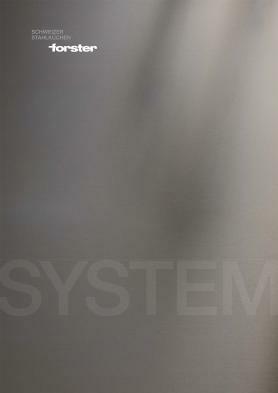 Forster steel kitchens are available in various colours in silk gloss, matt, brushed CNS or with a metallic look. 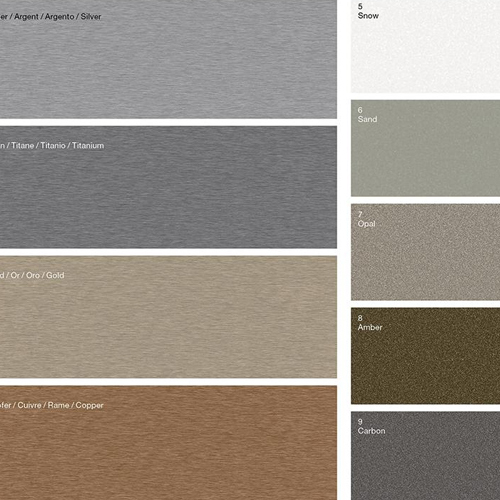 Colours from the NCS colour range can also be planned for the kitchen or laundry room on request. Forster steel kitchens thrill with their classic design. 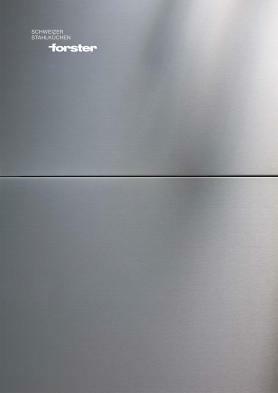 Accordingly, the Forster handle emphasises the horizontal lines and the clear forms of the kitchen. Alternatively, classic stainless steel handles harmonise with the material and surface or coloured aluminium handles emphasise highlights. 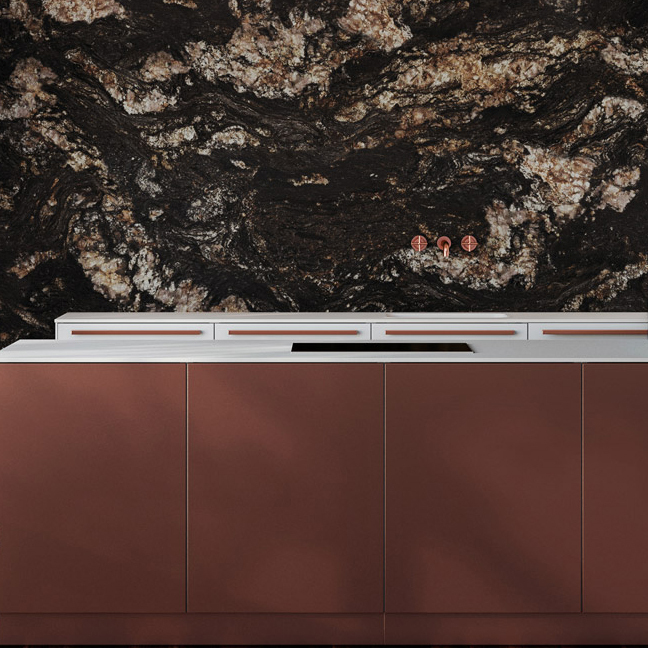 The result is kitchens with harmonious aesthetics and convincing functions. Light influences the quality of a room and its ambience. 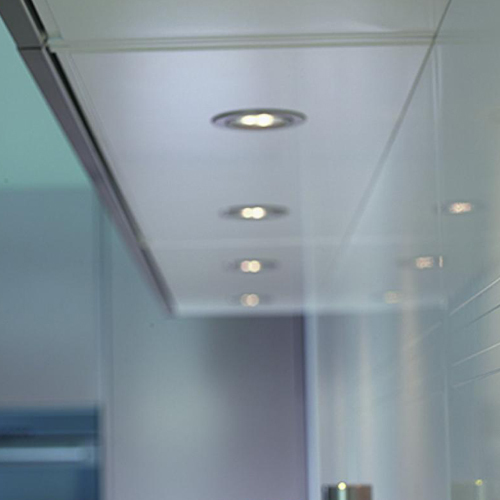 Forster has developed energy-efficient solutions for the effective and useful use of light in the working and living area that is the kitchen. Elegant surface-mounted lamps, LED spotlights or a lamp with swivelling bezel guarantee good illumination and thus cast the kitchen in the correct light. Keeping everything neat and tidy is easy with Forster’s bespoke accessories. 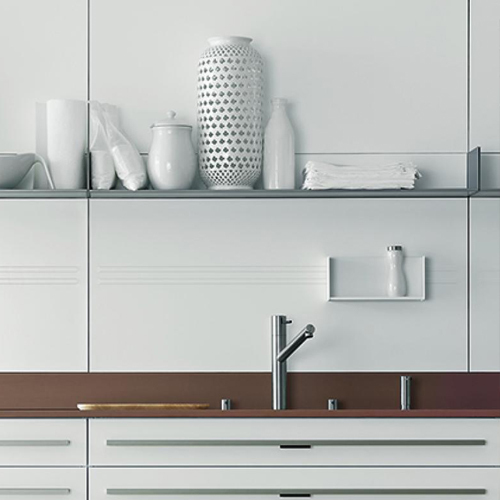 Functional inserts and brackets made of solid ash or white plastic are optimally matched to the kitchen, ensure that each appliance or utensil has its fixed place and thus create clarity and space. 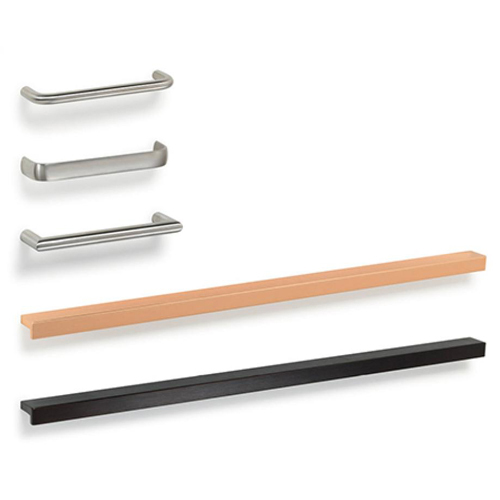 Magnetic accessories are also an eye-catcher in the Forster steel kitchen. The work surface, household appliances, fittings and rear walls can be selected as desired as additions to the steel kitchens. Forster works together with numerous leading brands from Switzerland and neighbouring countries, and is therefore able to meet specific customer wishes. 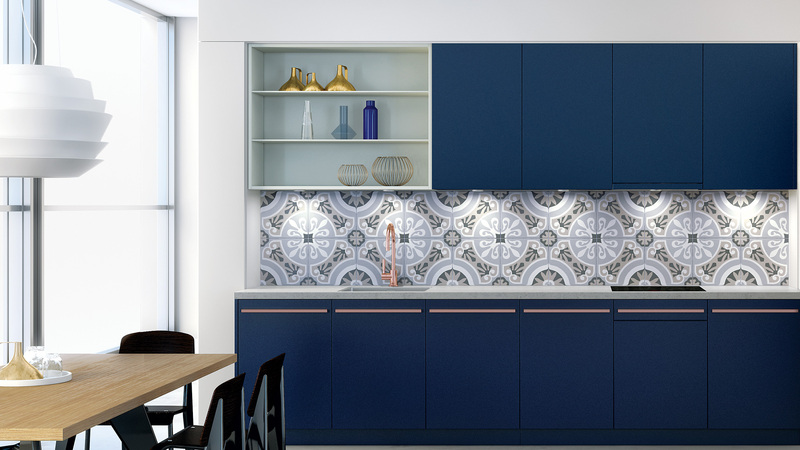 Together with the colour, these accessories lend each Forster kitchen an individual character. 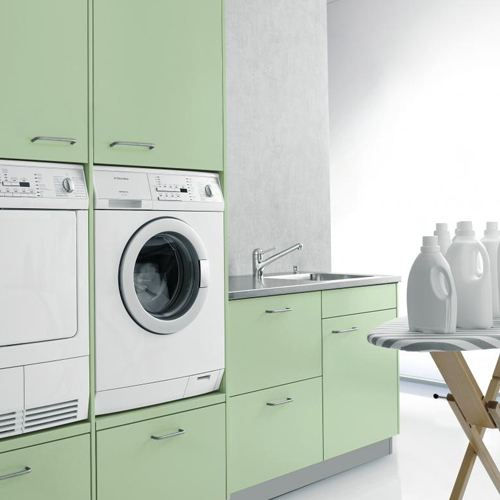 The compact laundry rooms from Forster optimise work steps and save space. The washing machine and tumble dryer are integrated at an ideal height. Sufficient storage space is available for detergent and dirty laundry. Various pullouts include removable laundry bags and let dirty laundry disappear in style. These ingeniously designed solutions enable the customer to purchase a laundry system that makes life in the utility room much easier.